The Cabinet Sunday approved a temporary housing site for residents of Migron, over whose heads there hangs an expulsion order. The Cabinet Sunday approved a nearby temporary housing site for residents of Migron, over whose heads hangs an expulsion order. Nationalist Knesset Members in the coalition have insisted that Migron must remain in its current location, and the High Court has rejected a government petition to defer the scheduled expulsion beyond a July 15 deadline. The unanimous vote by the Cabinet approved a temporary housing site on Givat HaYekev in Kochav Yaakov, located in central Samaria. This was part of an agreement negotiated between the residents and the government as a site for the town if the present location is proven to be Arab owned. The Cabinet also approved the preparation of ground for an alternative site in the community of Adam in the event that Givat HaYekev cannot be made ready according to the timetable set by the court. 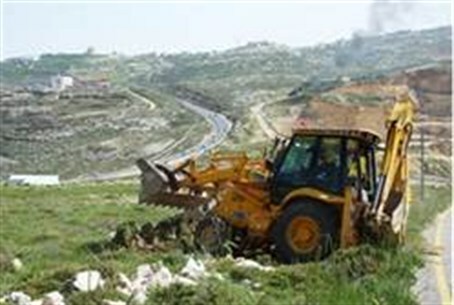 Nationalist legislators still are hoping to be able to pass a law that would allow the residents to remain in their homes, built on land that the High Court ruled, in a petition by Peace Now, belongs to Arabs, even though no proof has been submitted of their ownership. The status of the land is unclear and the residents were hoping to remain in their present homes until that is decided in the lower courts - and that even if the decision is against their claims, that they could stay in their present homes until the new ones are built. Migron may well be the sacrificial lamb of the Netanyahu government, which last week moved to legalize three other communities in Judea and Samaria that previously has been approved by Israeli governments but which lacked legal status. Likud Central Committee members from Judea and Samaria responded to the Cabinet decision Sunday with a statement saying, “We praise the government for deciding to establish a site for temporary housing…and preventing expulsions that we witnessed in the days of Gush Katif [in the expulsions of Jews from Gaza of 2005] and Amona, when soldiers and police used cruel violence to expel Jews from their homes. Judea and Samaria is under the jurisdiction of the military and decisions by Defense Minister Ehud Barak.